HMBASA is a non-profit organization that co-ordinates and provides guidance for human milk banking centres throughout South Africa. Breastmilk bank in Durban, SA. Breastmilk bank in Johannesburg, South Africa. The umbrella organisation for breastmilk banks in the United Kingdom. HMBANA is a multidisciplinary group of health care providers that promotes, protects, and supports donor milk banking. IBCLCs are specialist breastfeeding consultants with the knowledge, experience and skills necessary to manage lactation-related problems. They are the lactation consultants whom mothers and other healthcare professionals turn to when skilled assistance is required. Hospital grade breastpumps, Medela Lactinas, available for hire from Milk Matters. At KellyMom.com, their goal is to provide support & evidence-based information on breastfeeding, sleep and parenting. Information is provided by Kelly, a mother of three and an International Board Certified Lactation Consultant (IBCLC). Breastfeeding Inc. aims to empower parents by ensuring they receive the most up-to-date information to assist them with their breastfeeding baby. They strive to provide them this information through breastfeeding resources which include, but are not limited to, free information sheets, video clips, and articles. Some resources, such as books, protocols and videos can also be purchased through the website. Resources on the site are created by Dr Jack Newman and lactation consultant Edith Kernerman. ILCA is the professional association for IBCLCs and other healthcare professionals who care about breastfeeding families. An active association supporting and encouraging breastfeeding in Australia. Kangaroo Mother Care Promotions aims to promote the spread and implementation of Kangaroo Mother Care as the standard method of care for all newborn babies, both premature and full term. They aim to give firm scientific facts for medical and nursing professionals, and at the same time to convey these to all parents, to ensure babies get the best care. PDNSA is an organisation dedicated to supporting women who may be suffering from postnatal depression and assisting them to find help. It is run by a group of health professionals and other women who have suffered from postnatal depression themselves. WOMBS is an organisation representing trained doulas in South Africa who are committed and motivated to promote and protect antenatal support, active labour and birth and/or provide postnatal support. WOMBS believes that parents should be empowered to make informed decisions about labour, birth and postnatal care for their families and have access to health care systems which support their choices. The Parent Centre was established in 1983 and provides education and training workshops, home-visiting programmes, community talks, support groups as well as parental counselling. While the Centre is based in the Western Cape, training can be arranged in other areas. Support and resources for the parents with twins, triplets, etc. TATS is a society made up of mothers of multiples. This site offers useful information in the form of hands on experience, articles, advice and contacts. There are a number of office bearers who run the society and act as counsellors and a person to turn to when you are at a wits end. 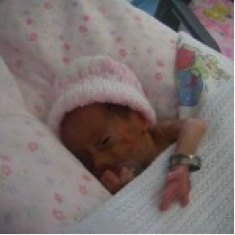 The aim of the Little Steps website is to provide parents of premature babies and healthcare professionals caring for them with the latest information and techniques required to nurture them in growing and reaching their developmental goals. A national support group for the parents of premature babies. They offer advice, support, information and products relating to premature birth and babies in South Africa. My baby had 24 hours of donor milk. I’d just like to say thank you for the wonderful work you do, and thank you to the donor.